Green Energy Enterprises – Green Energy Enterprises, Inc. owns and operates 4 wholly owned Subsidiaries. GYOGz has an exciting Ecommerce site and national brand and our premier hydroponics grow store is located in Colorado Springs, Colorado. We provide flight training in a safe and effective learning environment, while adhering to federal and state aviation regulations including drone training. 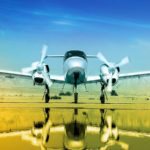 AAI represents a full-time commitment to produce a quality flight training environment including personalized training. We are looking forward to announce our newest MJ project in the near future! Green Energy Enterprises, Inc. is a publicly traded corporation on OTC Pink Market, stock ticker symbol: GYOG. Green Energy was initially established as an aviation company and currently operates a FAA Part 61 flight school, FAA Part 91 flight operation, Computer Assisted Testing Service (CATS) and Comira testing facility in Jacksonville, with plans to have its FAA Part 141 flight agency moved to Jacksonville to provide flight training to veterans and foreign students. Revenues have more than doubled in GYOG’s two aviation subsidiaries since 2014. Green Energy Enterprises, Inc. is also actively pursuing strategic partnerships and acquisitions within the marijuana industry. CEO Donnell Vigil considers her MJ efforts to be similar to the Gold Rush as during the Gold Rush the people that sold the pickaxes and pans made as much if not more than the people that sought out the gold. Ms. Vigil intends for Green Energy to be at the forefront of this newly developing and growing industry throughout the nation. CEO Donnell J. Vigil graduated from Metropolitan State University in Denver, Colorado with a Bachelor of Science Degree in Criminal Justice/Criminology and attended graduate school at Friends University in Wichita, Kansas in its Organization Development masters program. 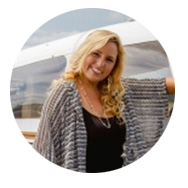 Ms. Vigil has worked in the marijuana industry for nearly three (3) years, in the aviation field for over nine (9) years and in the corporate arena for nearly twenty (20) years.